Excellent weather on 28th and 29th June. After some false starts, we got the rafters and wall plates installed. The coming weekend (Sunday 5th July) will see the slates start to go on. 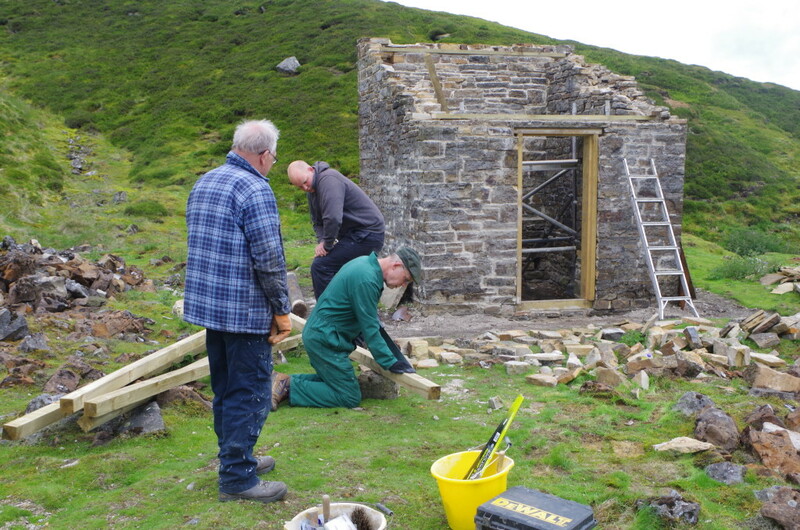 We also have tasks to rebuild the inner wall and to carry on pointing the exterior. The more people we have the easier it will all be. The site can absorb at least seven people without us falling over each other. Weather forecast is good. Contact our Volunteer Coordinator – Joyce – on 07702538709 if you want to know more. 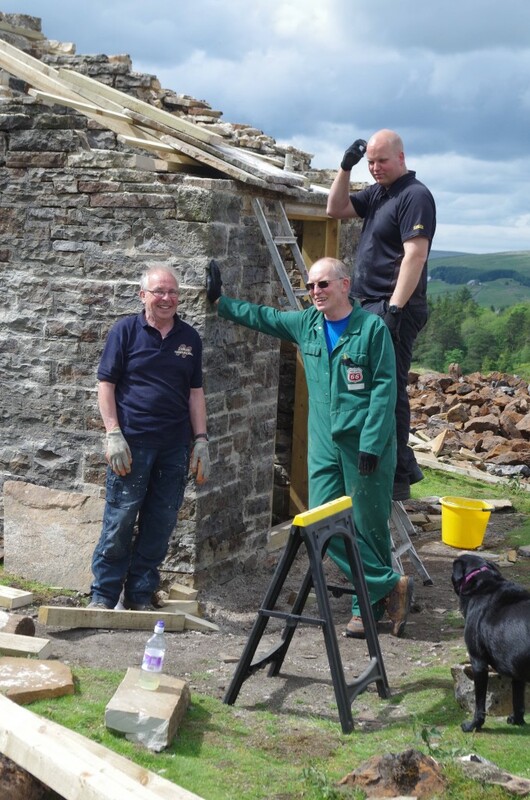 Working volunteers can stay in the Assay House bunkhouse for nil cost – provided you do some work! Colin, Alec and Martyn were smiling to order. 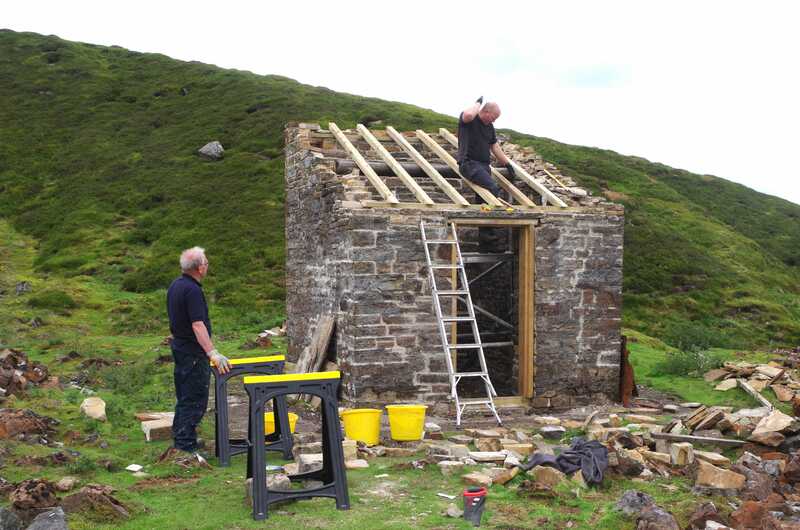 End of the day, the rafters and wall plates are in….but the midges have arrived.